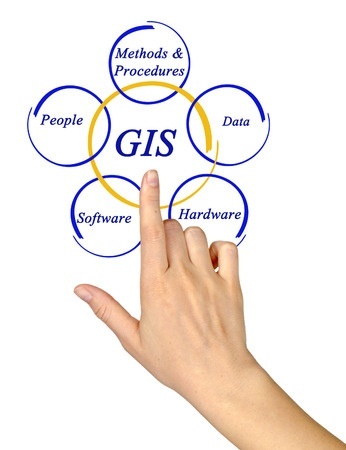 UIZ provides GIS Services, Remote Sensing Services, GIS Mapping Services, and GIS Data Conversions Services. Our GIS service analyses spatial relationships, visualization of geographic data and efficient data management. GIS data conversions allow data from different sources to be merged into one common format, which allows for easy access, analysis and utilization. Based on paper or electronic data either captured by our customers or collected in another way, UIZ takes GIS data conversions and prepares electronic maps through the use of our GIS technology. By integrating GIS with Global Positioning Systems (GPS), high-end GIS Mapping and GIS data conversions software, our GIS Services assist our customers in producing maps such as contour maps, spatial maps, thematic maps, zonal maps, cadastral maps, landscape maps, environmental maps for host industries such as mining, utility sector, agriculture, town planning, and other GIS Mapping companies and GIS Remote Sensing companies. UIZ provides GIS services with a comprehensive solution for spatial data management to government and industrial organizations through the use of our comprehensive GIS Remote Sensing Services. Our GIS Mapping Services and GIS Remote Sensing Services includes capturing, storing, integrating, manipulating, analysing, and displaying data related to positions on the Earth’s surface. While providing GIS Mapping Services, UIZ maintains a commitment to having state-of-the-art industry technology, research and innovation implemented by highly experienced and qualified staff. UIZ’s team of engineers, geo-scientists and planners have developed GIS products and systems, integrated with GPS, GIS, and CAD. Our commitment and continuous effort for customer satisfaction has made UIZ a well-known and reliable GIS Data Conversions Service provider.